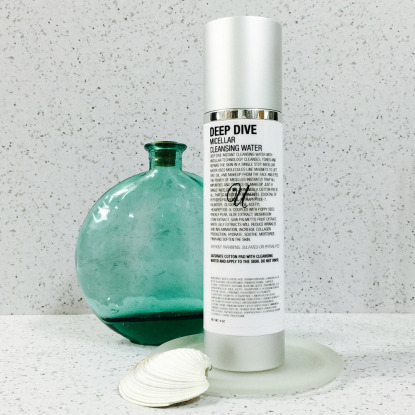 Deep Dive instant cleansing water with micellar technology cleanses, tones and repairs the skin in a single step. Micellar water uses molecules like magnets to lift dirt, oil and makeup from the face and eyes. The power of micelles instantly trap all impurities and traces of makeup  just a single wipe on the skin with a cotton pad is all that is needed. A powerful cocktail of Peptides coupled with Poppy Seed, Prickly Pear and White Lily Extracts will reduce wrinkles, increase collagen production, soothe, moisturize, firm and soften the skin. This multi-tasking product with state of the art ingredients and proven results is a must have for all!